Chilko salmon, spesies ikan yang mampu beradaptasi dengan kenaikan suhu air. 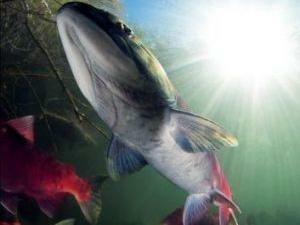 "Chilko able to swim at a higher temperature variations than other salmon in the river," said Eliason. "We concluded that this capability is because they are able to adapt to cope with the difficult path of their migration. For that reason we call it a super fish ", he said. Thanks for reading Chiko, Salmon Paling Tahan Perubahan Iklim. Please share...! 1 Comment for "Chiko, Salmon Paling Tahan Perubahan Iklim"